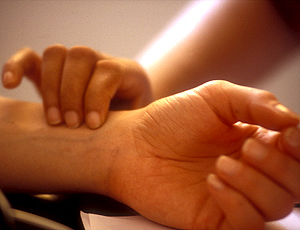 © 2013 Institute of Ayurveda and Alternative Medicine. All rights reserved. These training courses are conducted at Barberyn Reef Ayurveda Resort, Beruwela, Sri Lanka. “Ayurveda” – the science of life, is one of the oldest forms of medicine known to man, originating in the Indian sub-continent, dating back about 3000 years. Ayurveda is gaining in popularity as people become more health conscious and explore traditional medical systems. Ayurveda is a comprehensive and scientific system of medicine based on natural products, promoting a healthy & long life, and can complement modern medicine. Ayurveda has two main aims: to treat the root cause of the disease and manage the disease where it has already occurred, and to prevent disease through purification and strengthening of the immune system. Ayurveda treats the body, mind and spirit of a person as a whole entity, and works on the basis that the mind and body affect each other, and together can overcome disease. Click here for more. 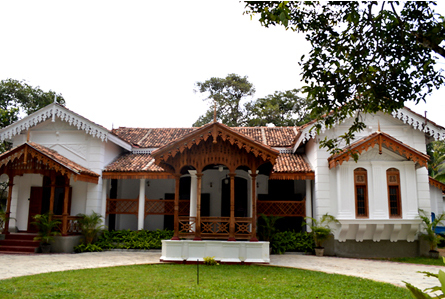 The beautifully restored ancestral property of the Rodrigo family which is the home of Barberyns Institute of Ayurveda and Alternative Medicine (IAAM) opens its doors to provide Authentic Ayurveda Medicine to the general public. To promote Ayurveda and alternative medicine. To provide a forum for dissemination of information for the advancement of knowledge in Ayurveda and alternative medicine. To set up and maintain herbariums and arboreta especially for growing producing and collection of plants herbs relevant to or required for Ayurveda and other forms of alternative medicine. To carry out reseach and training in activities complimentary to the practice of Ayurveda including Yoga and traditional arts and culture. The first scientific database of native Sri Lankan plants used in Ayurvedic medicine. 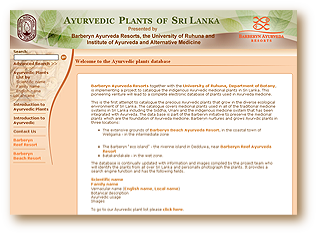 Barberyn Ayurveda Resorts (through their Institute of Ayurveda and Alternative Medicine), have worked with the University of Ruhuna, Department of Botany, to prepare this ‘Ayurvedic Medicinal Plant Website’ which contains details of the medicinal plants of Sri Lanka used in all the traditional systems of medicine that have been integrated with Ayurveda. This is the first attempt to collate information on the Ayurvedic plants that grow in the diverse ecological environment in Sri Lanka.